Remember Samantha & Pete? They invited my blog followers to tag along on their wedding photography journey. 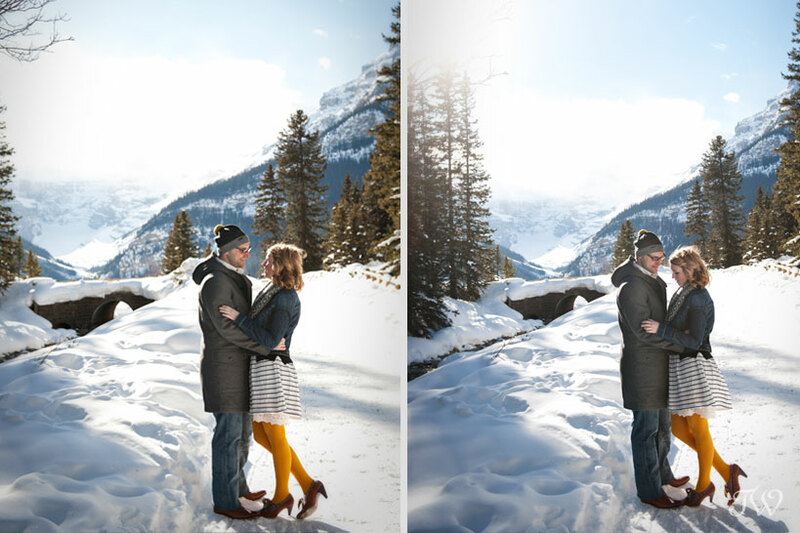 Last week I posted images from their Rocky Mountain photography session at Lake Louise, and today you get to attend their viewing. When the time comes to see your engagement or wedding photos, clients come to my office to view a customized slide show of their images. I encourage them to cozy up on the couch with a glass of wine and remember their day. This is one of the few times I love to see my clients dabbing their eyes. We’ve almost completed the journey. 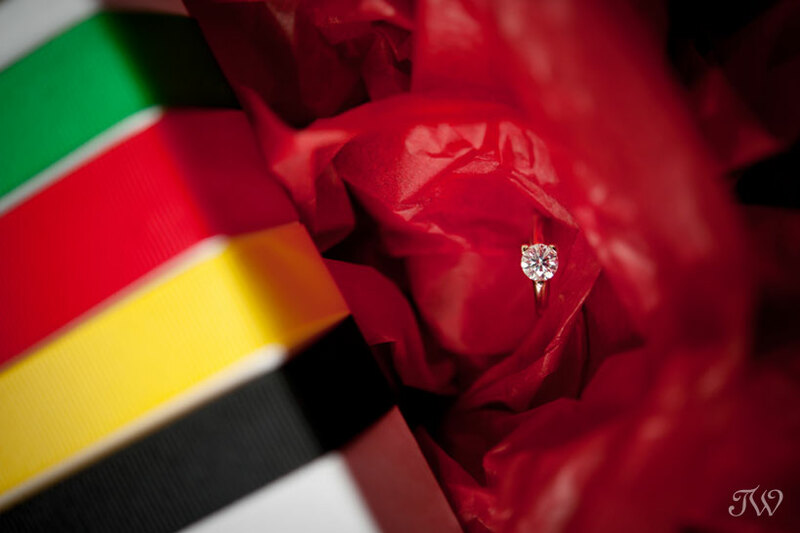 After Canada Day, I’ll be sharing images from their High River wedding. Choosing dresses for bridesmaids is a daunting task but a few of my brides did a stellar job of ensuring their friends looked sensational. 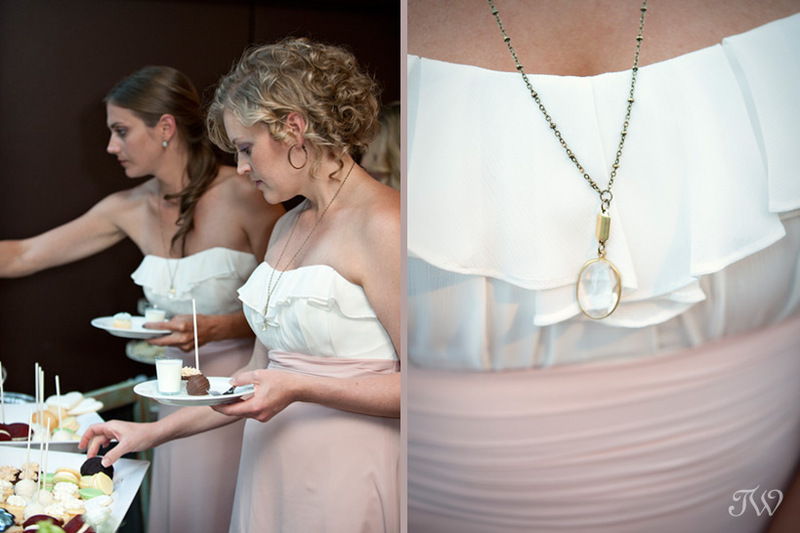 Today I’m sharing a few of my favourite bridesmaid ensembles. 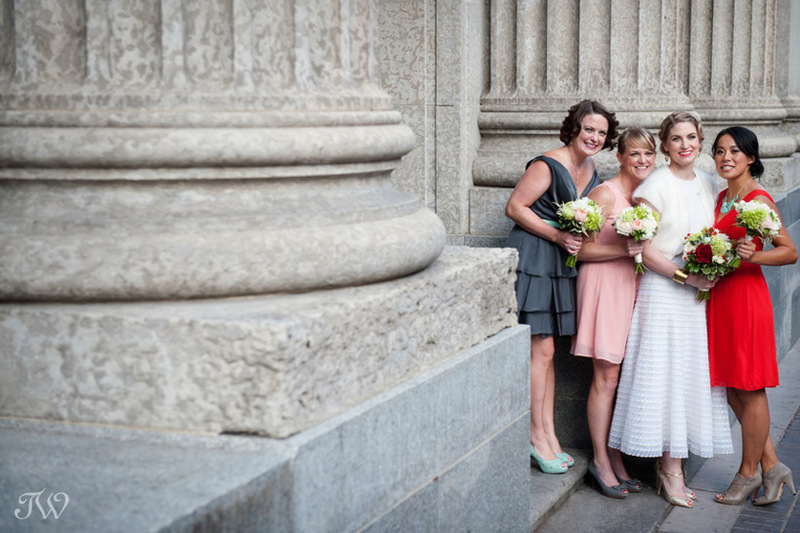 Contrasting but complimentary was the name of the game for James and Krista’s modern wedding at Contemporary Calgary (formerly The Art Gallery of Calgary). 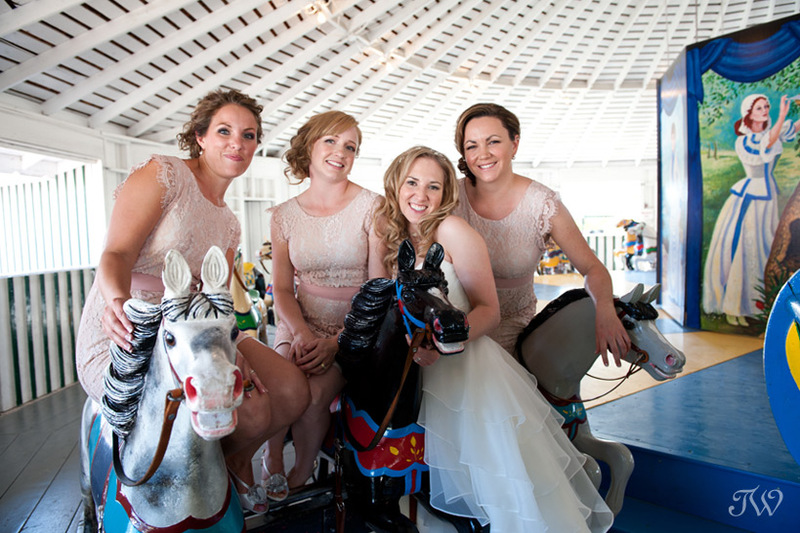 Katie’s bridesmaids were all glam in Bellezza at her Spruce Meadows nuptials. 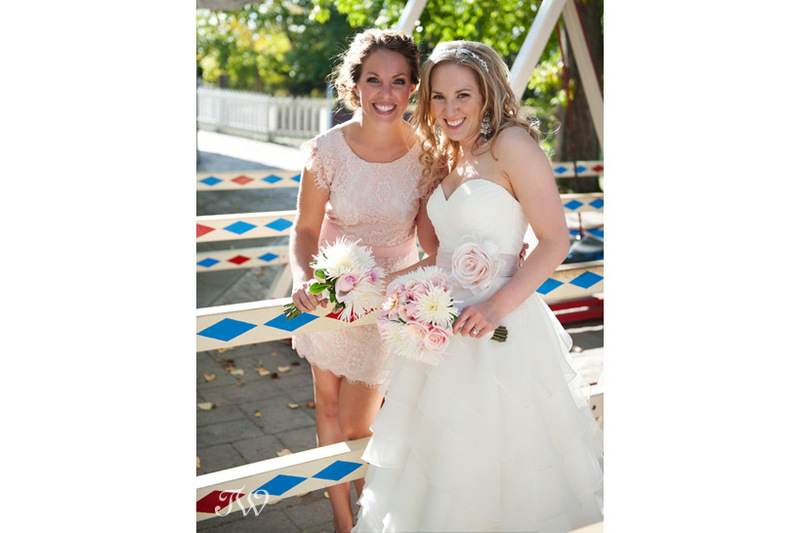 When Katherine and Tyler wed at Heritage Park, her girls were blushing in Bedo. 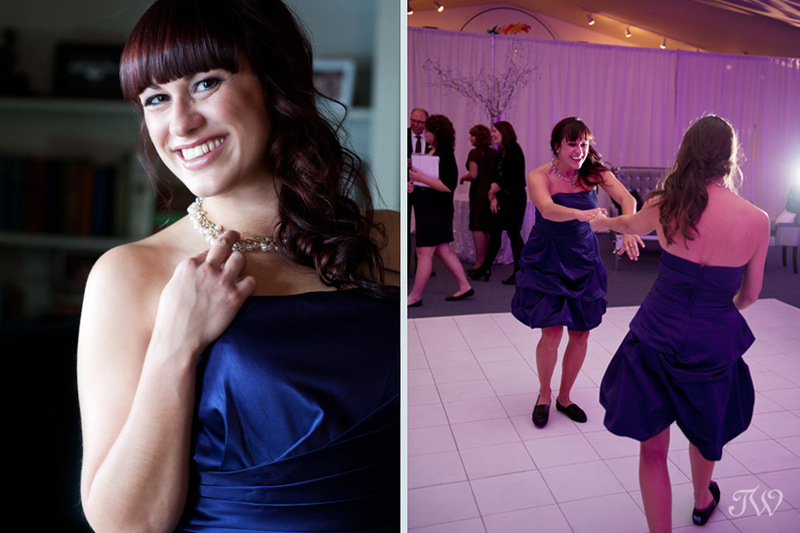 TWP bride Krista, had the most amazing taste when she married Jeremy at the Delta Lodge at Kananaskis. These fluttery, feminine gowns from Watters still remain favourites of mine. 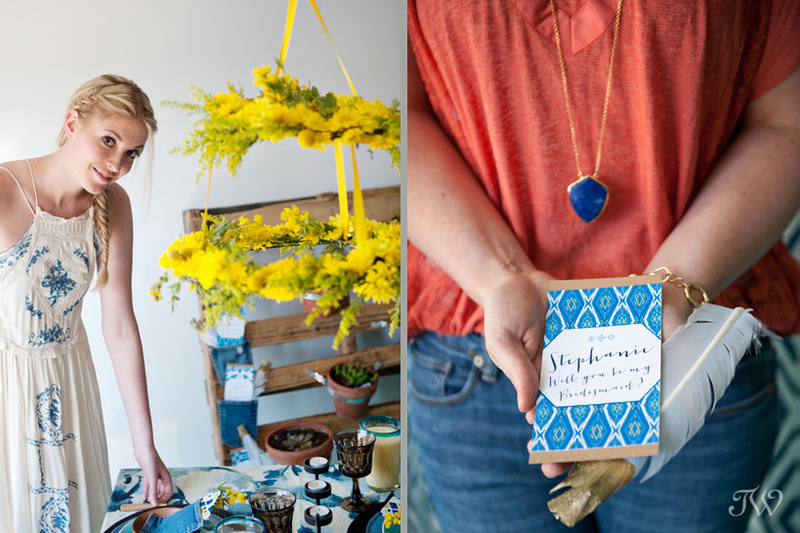 Pendants from local jeweller Coutukitsch, were the perfect compliment. 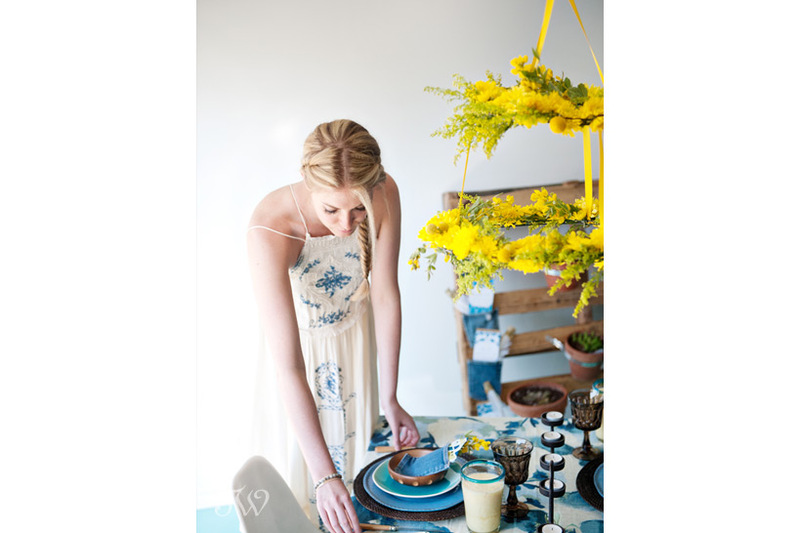 This is the time of year when brides and their girlfriends celebrate in preparation for summer weddings. If you’re from Calgary, you know it’s also Stampede time. 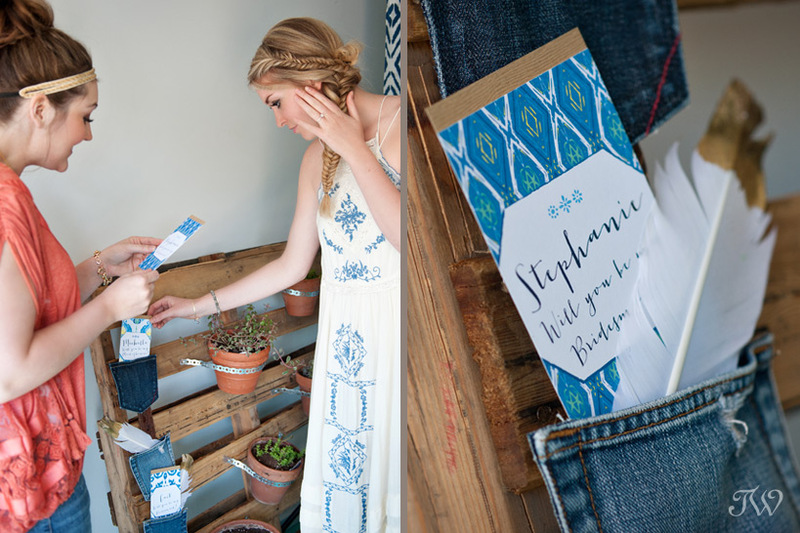 This shoot is all about a bride honouring her friends and asking them to be her bridesmaids, while inspiring you with bridal party ideas. 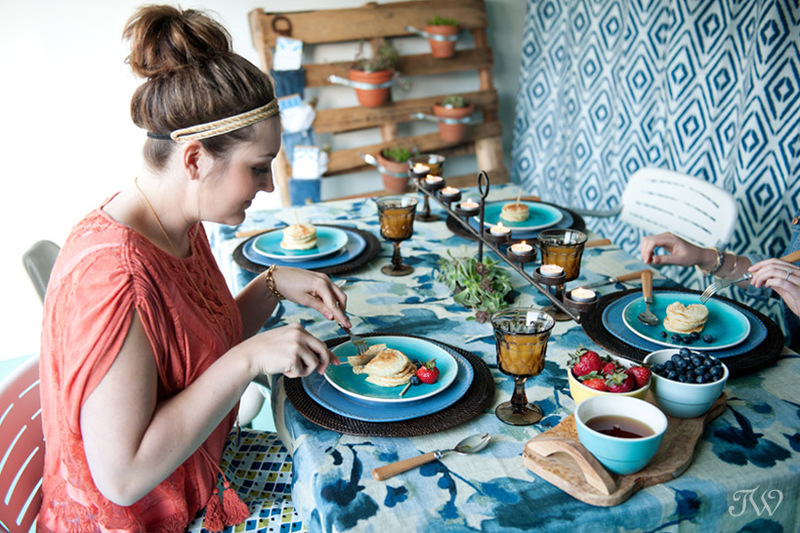 To pay homage to our city, home of the “Greatest Outdoor Show on Earth”, our bride Kari, selected her maids in Stampede style, with a pancake breakfast. 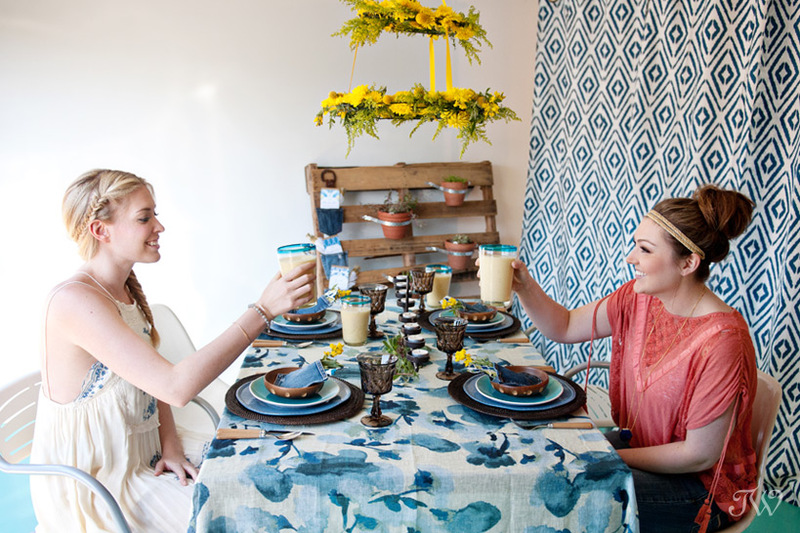 She invited them to brunch serving local delicacies, and offered each a taste of the big day to come. This time of year brings certain images to my mind…parades, horses, cowboys, mini donuts, carnival rides, marching bands, the list goes on. For 10 days, our city goes into cowboy mode and welcomes the world. 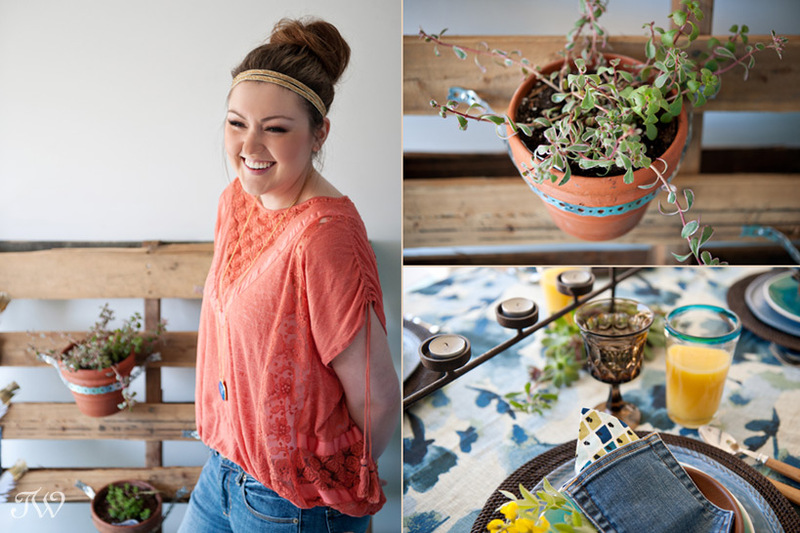 This shoot is filled with Calgary Stampede hallmarks like stacks of steaming pancakes, bags of sugary donuts and denim, lots of denim. 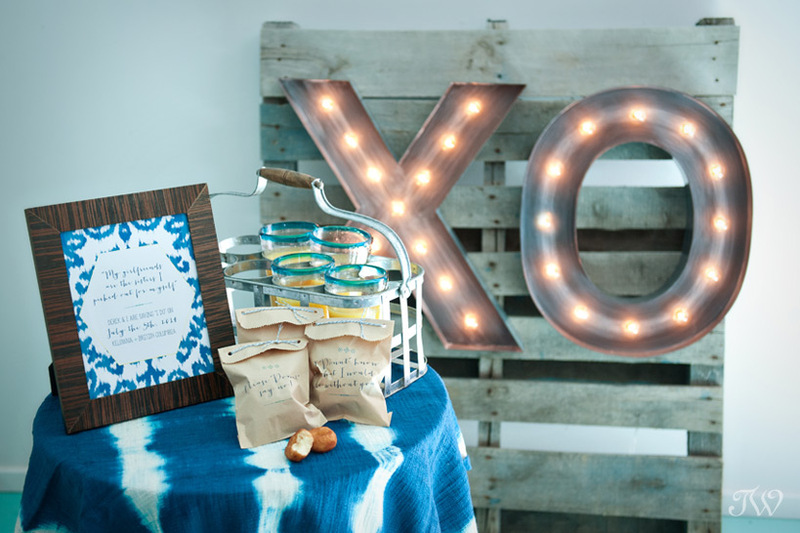 Locals are accustomed to seeing wagon wheels, kerchiefs and hay bales during Stampede week, so to change things up a little, this breakfast had a casual, “Boho” feel. 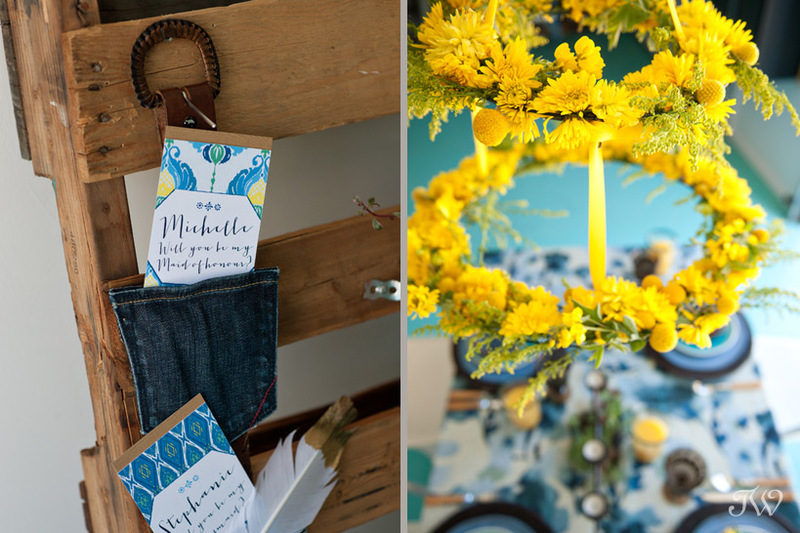 You don’t have to be a bride to appreciate these ideas. 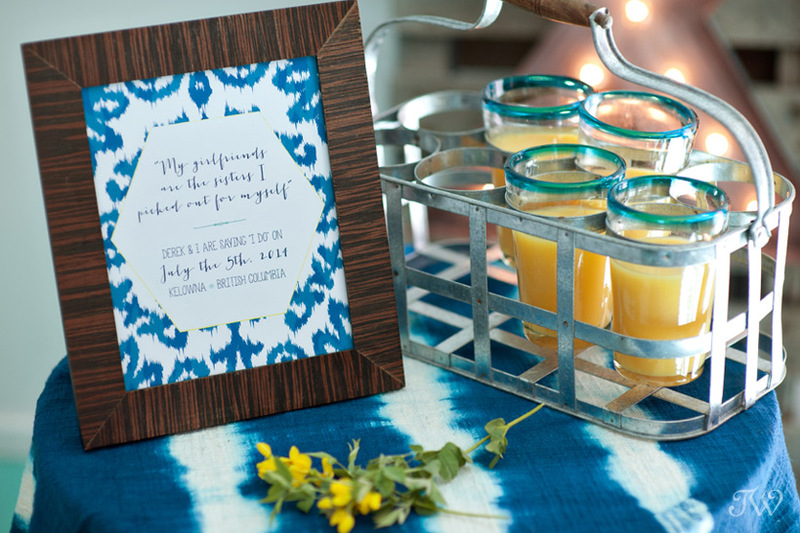 If you’re hosting your own Stampede celebration, then this shoot is for you. The pancake breakfast is a local institution dating back to early Stampedes when cowboys served pancakes from the back of their chuck wagons. 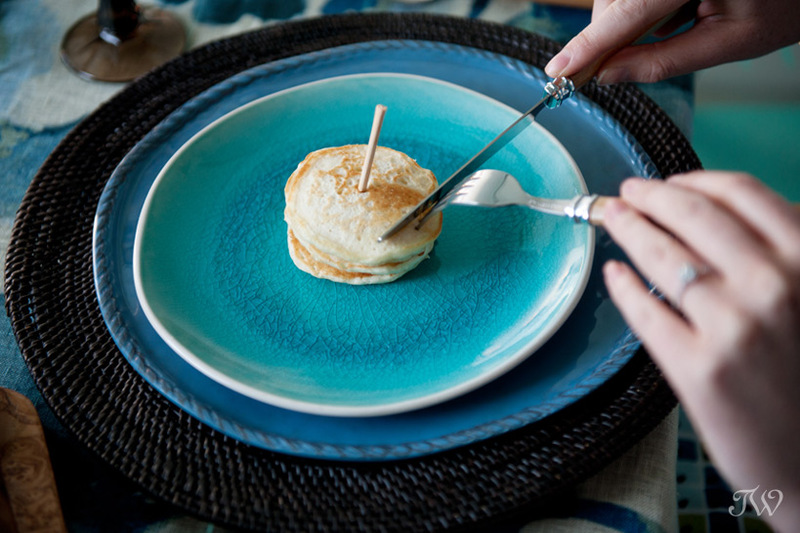 Hundreds of pancake breakfasts take place across our city during the exhibition. 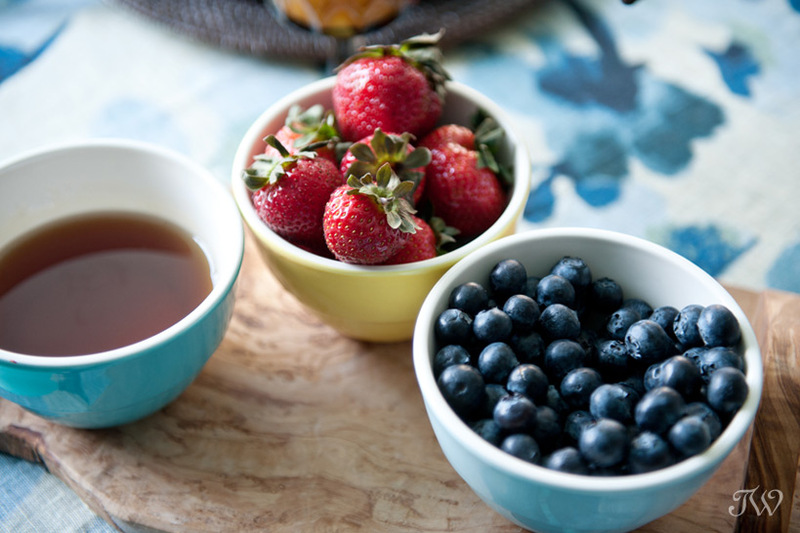 As a twist on the traditional flapjacks, Kari served stacks of mini-cakes with fresh berries and Canadian maple syrup. 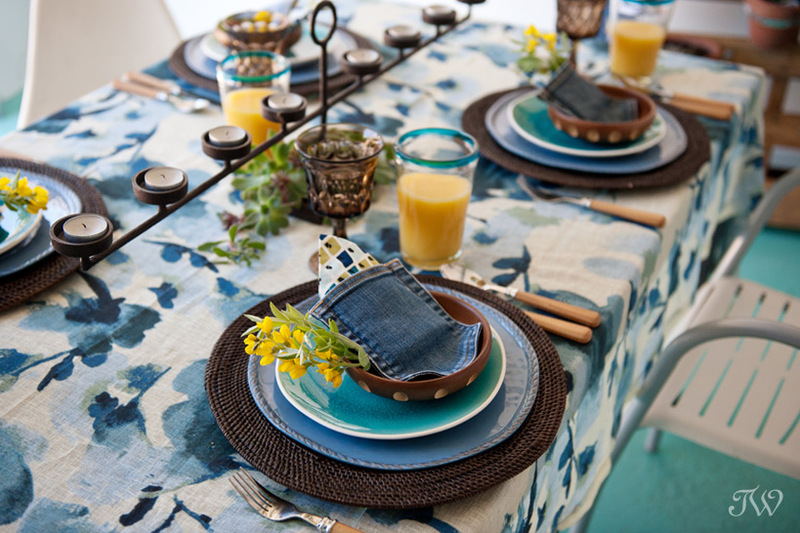 Denim pockets, snipped from pairs of thrifted jeans, served as napkin and place card holders. Thanks to Randi from Dukes & Duchesses for the idea. 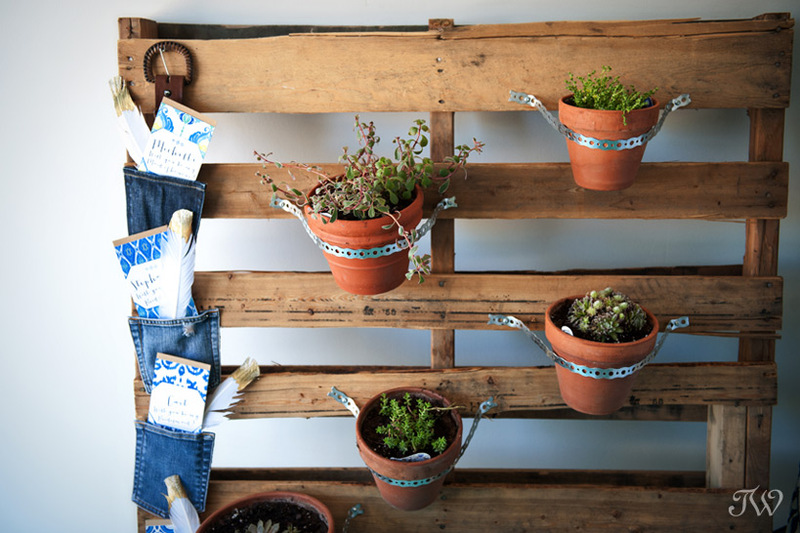 By stringing the pockets on a vintage, leather belt, a vertical fixture was created. Inside, each bridesmaid found a personal request from the Kari to join her on the big day (cards courtesy of Modern Pulp). 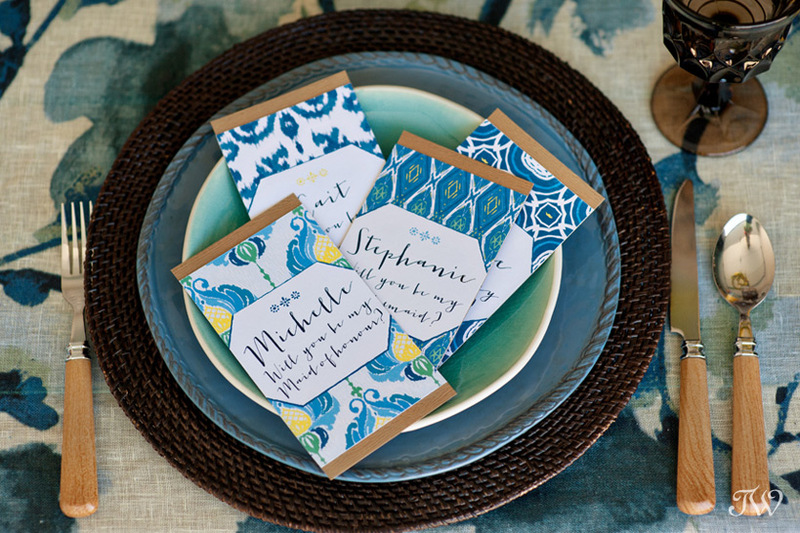 The pockets also made adorable napkin holders. 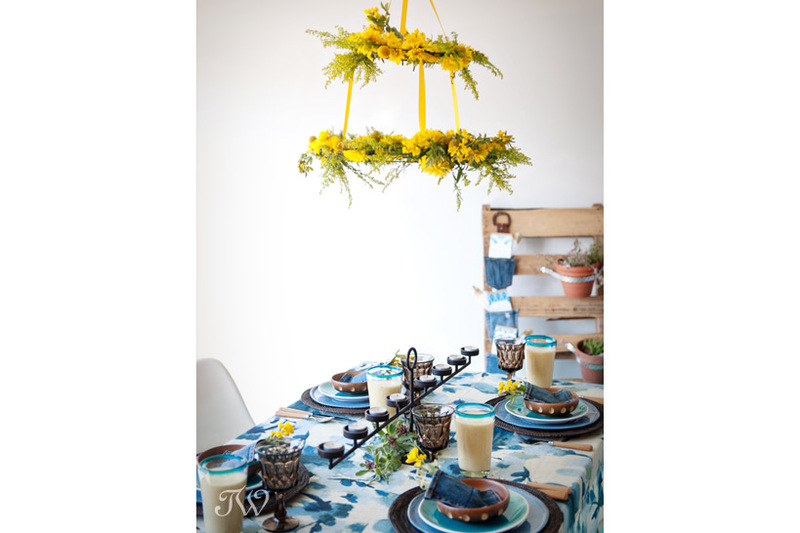 A sunny floral chandelier was suspended over the breakfast table, bursting with yellow blooms in varying sizes and textures. 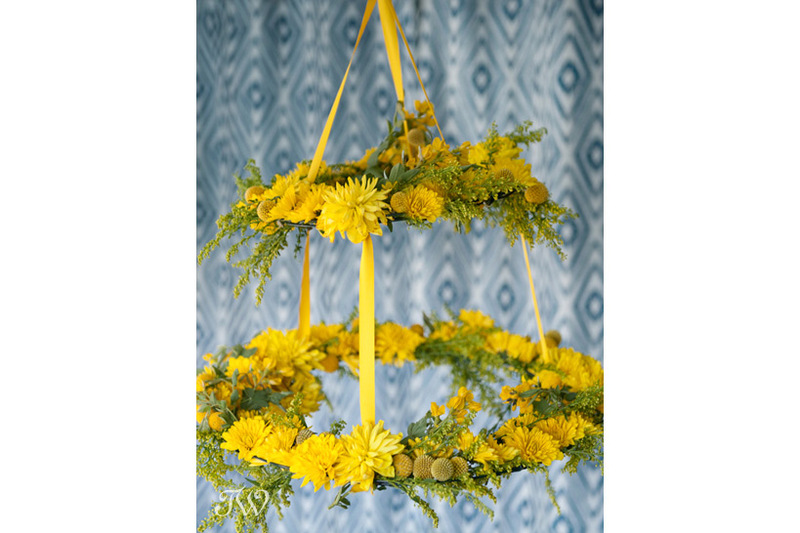 “Buffalo Beans” (Thermopsis rhombifolia) local spring wildflowers, completed the arrangement. 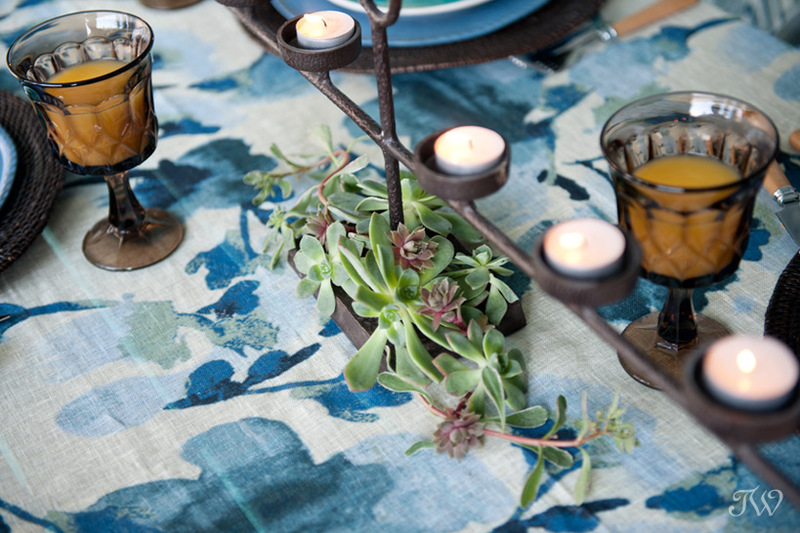 A succulent planter, repurposed from a pallet, made a rustic yet fresh backdrop for the brunch. Here are the instructions if you’re interested in making your own. 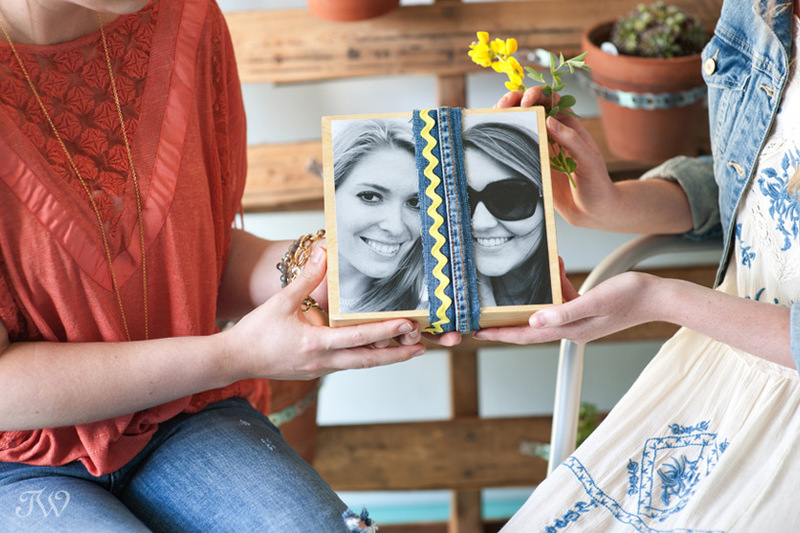 Kari gave her maids a personalized, wooden gift box. 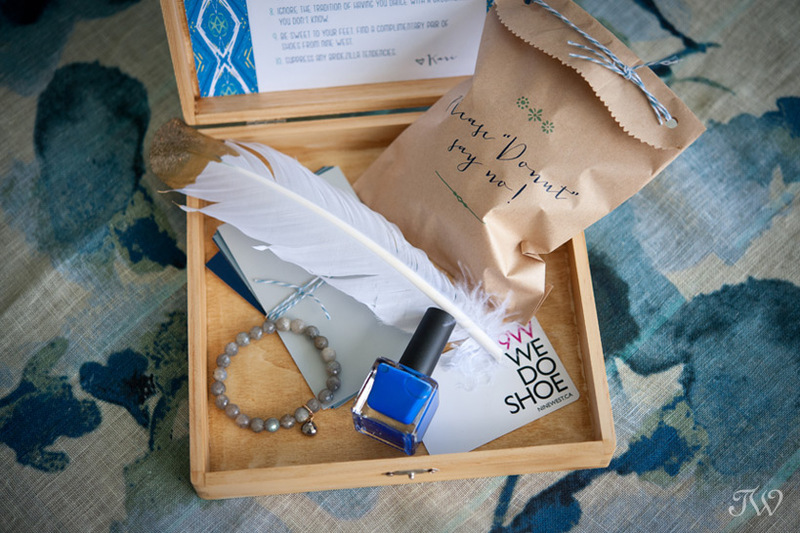 Each box was made unique by covering it with a favorite photo of the bride and that friend, and was filled with treats including a stackable bracelet from Leah Alexandra, a shoe gift card, nail polish and a packet of mini donuts. They were embellished with a denim band (a remnant from the thrifted jeans) and ricrac. 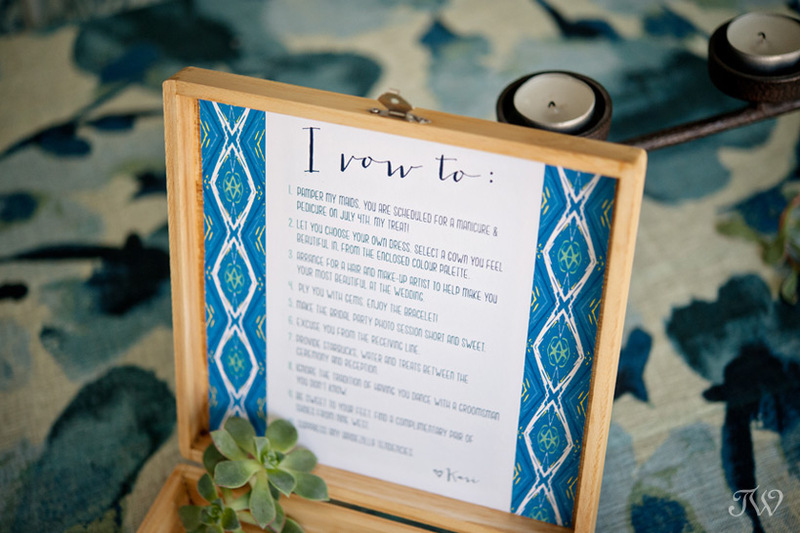 Kari included a cheeky list of vows to her maids. Pamper my maids. You are scheduled for a manicure & pedicure the day before the wedding. My treat! Let you choose your own dress. Select a gown you feel beautiful in from the enclosed color palette. Arrange for a hair and make-up artist to help make you your most beautiful at the wedding. Ply you with gems. Enjoy the bracelet! 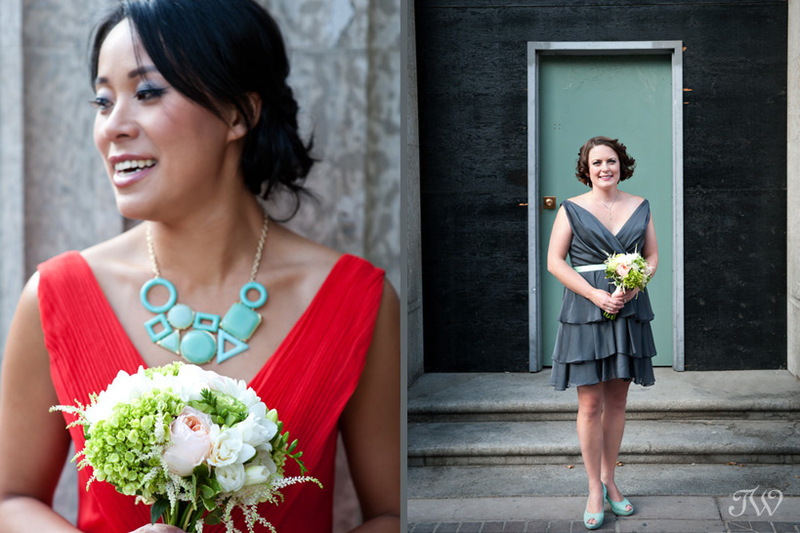 Make the bridal party photo session short and sweet. Excuse you from the receiving line. 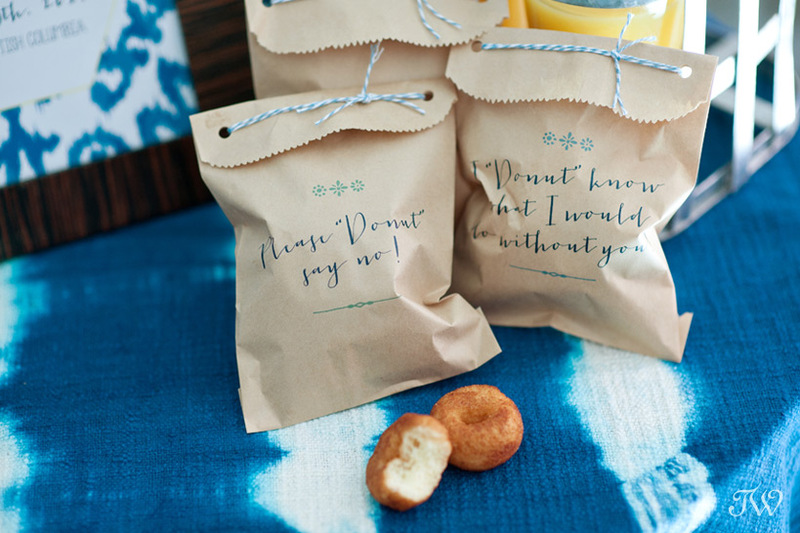 Provide Starbucks, water and treats between the ceremony and reception. Ignore the tradition of having you dance with a groomsman you don’t know. Be sweet to your feet. Find a gift card from a favorite shoe store inside. 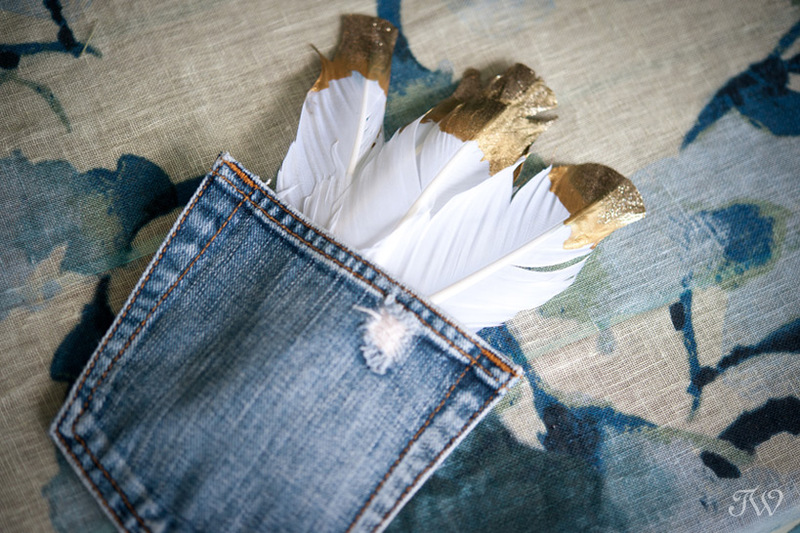 Ali from Modern Pulp crafted these feathers, dipped in gold and glitter. 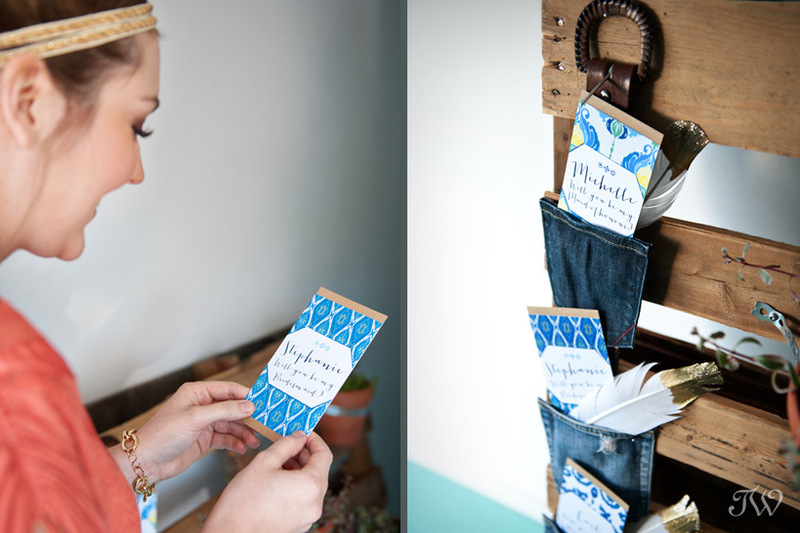 They were a fun addition to the denim pockets and gift boxes. Custom stationery by Ali from Modern Pulp. 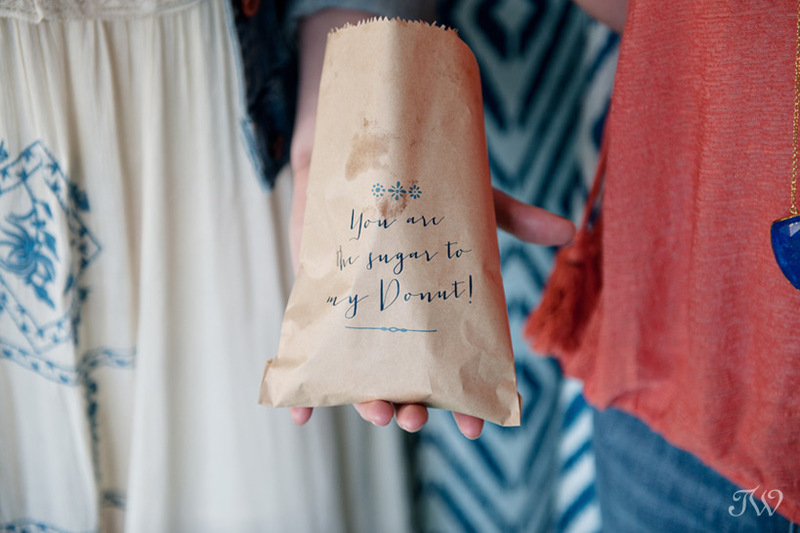 You are the Sugar to my Donut, Please “Donut”say No, “Donut” know what I would do without you…these were the playful sayings that Ali from Modern Pulp added to the paper bags holding steaming mini-donuts. 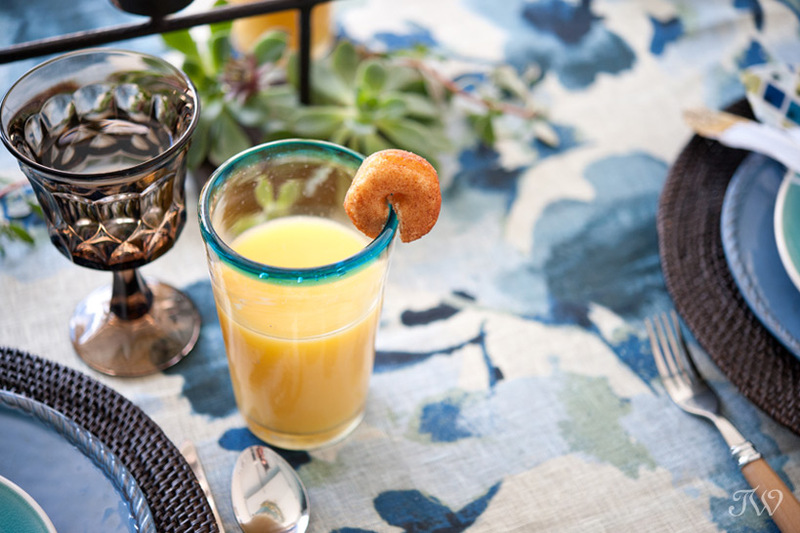 A mini-donut also makes the cutest drink garnish, no? 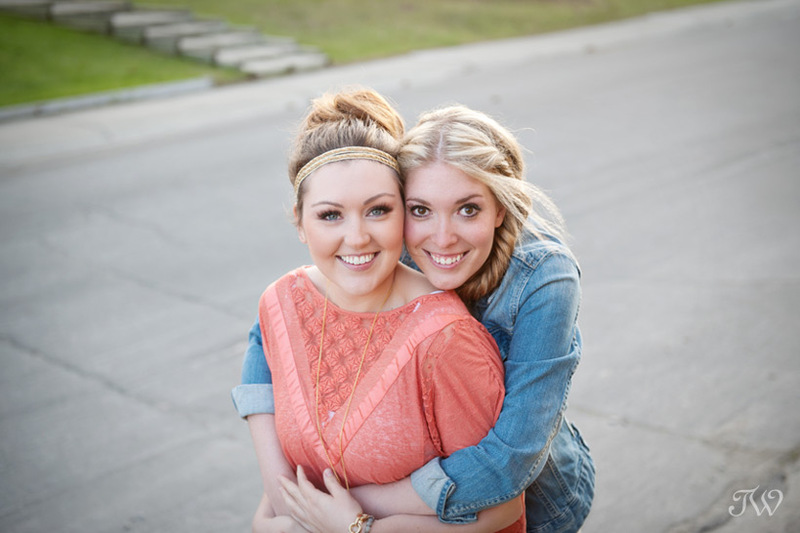 Thank you Kari and her bridesmaid, Stephanie, for helping us share bridal party ideas. 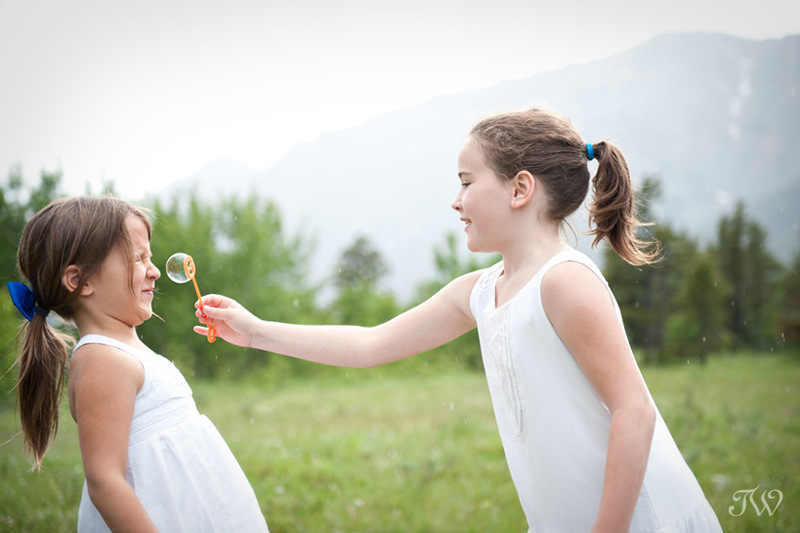 Today I’m excited to share my first real shoot of summer, complete with childhood pleasures like bubbles and candy necklaces. 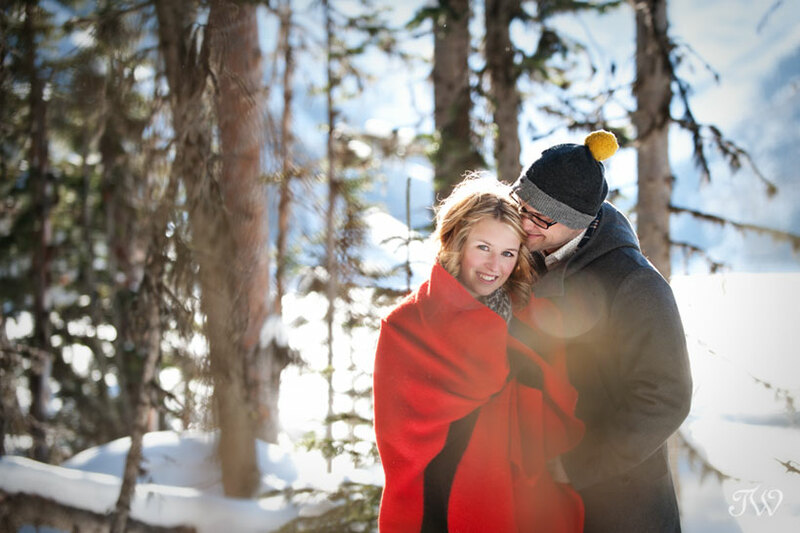 This is a Calgary Portrait Photography sneak peek for a dear friend and photographer who’s leaving our fair city for Holland. 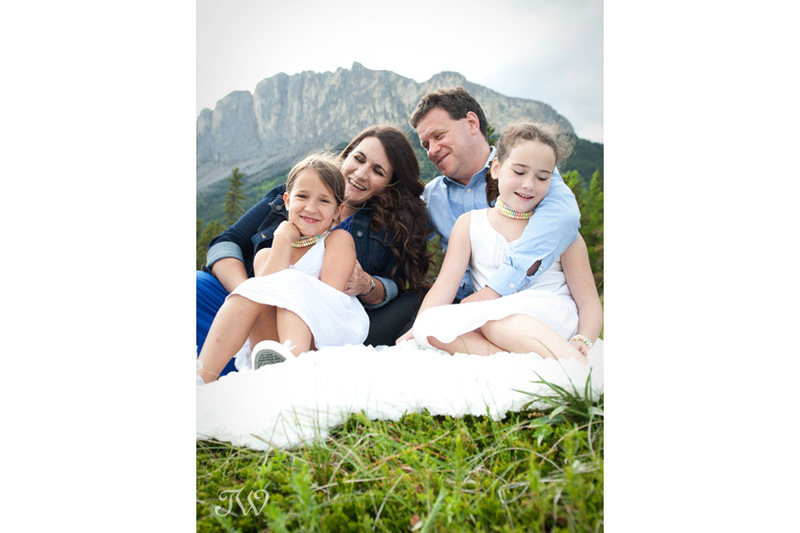 We piled into their car and headed to the mountains to help she and her family remember their time in Canada. More to come from this shoot soon but thank you to Anne, Dave, Amy and Mathilde, for choosing me to document this special (but a little scary) time in your life. 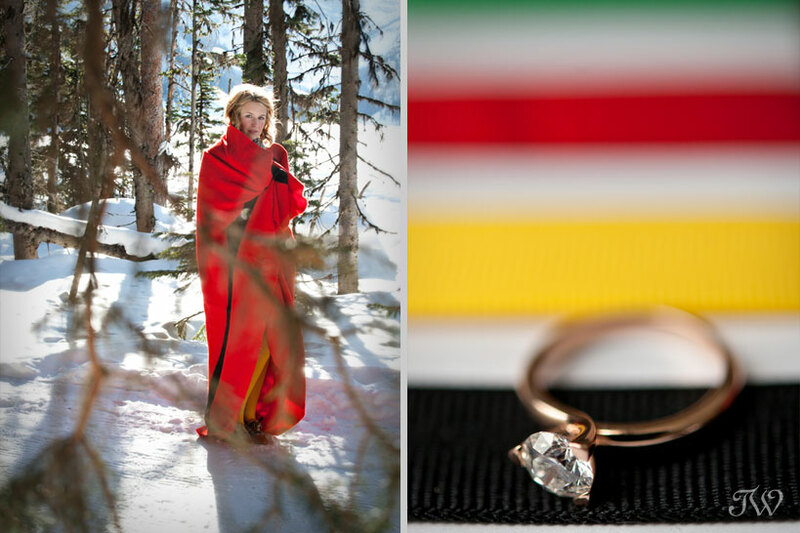 I’m thrilled to post these cozy and colourful Lake Louise engagement pictures. 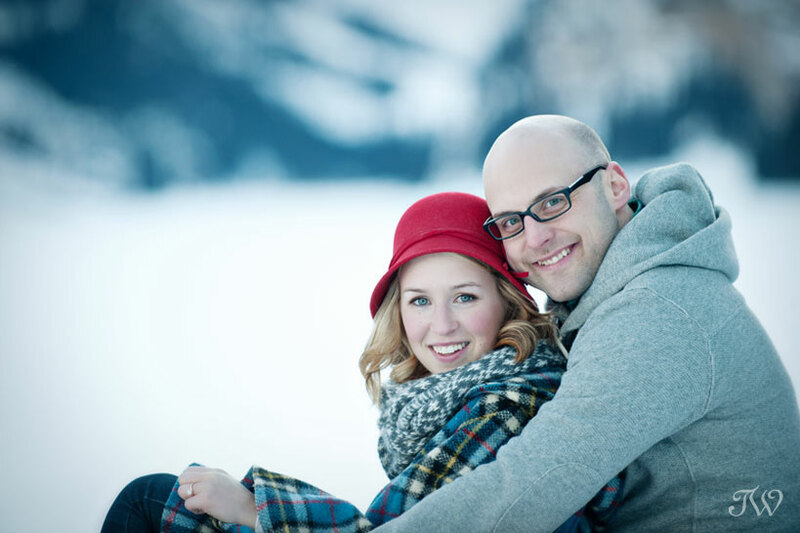 Not only are Samantha and Pete dream clients, they are also crazy in love. 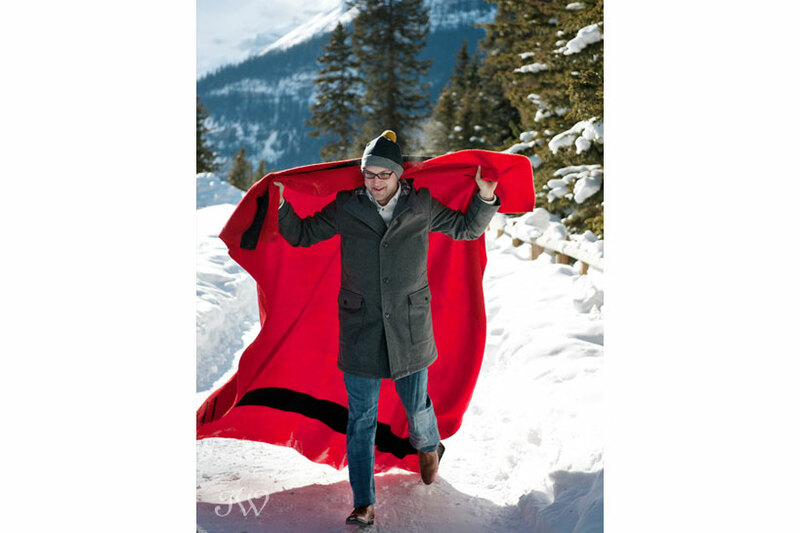 As you know, we started with a vintage Hudson Bay Scarlet Point Blanket as our inspiration for their shoot. 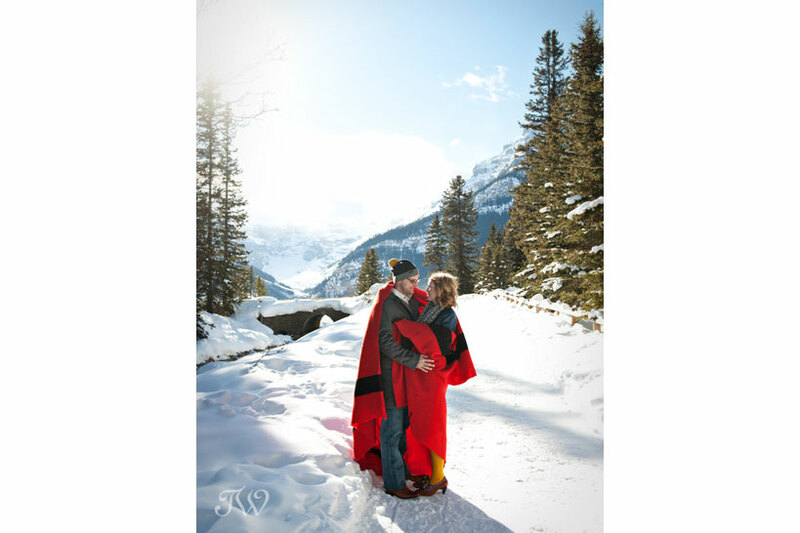 This blanket called for a rugged, winter setting and what better location than Lake Louise? The mountains, the glacier, the snow-covered lake – it was basically a winter wonderland. 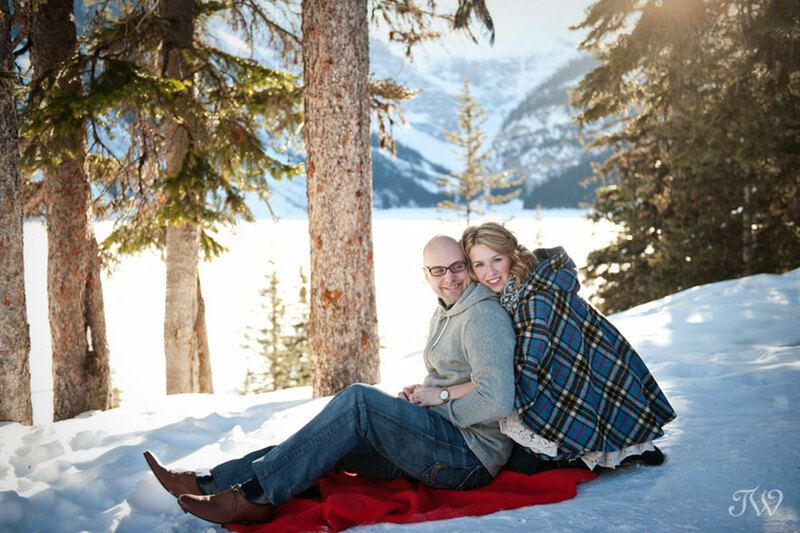 We met up at Chateau Lake Louise and ventured out into the winter sunshine for their photos. We wanted to add a few “Hudson Bay touches” without being “themey”. This gift box was a fitting way of showing off Samantha’s sparkling, rose gold diamond. Her ring arrived just in time for their engagement photos and Samantha couldn’t keep her eyes off of it. I loved it’s unique, three-prong design. Samantha and I have a shared love for A Vintage Affair, a treasure-trove of vintage finds on 11th Ave SW. That’s where she found this plaid cape, just in time for Lake Louise. 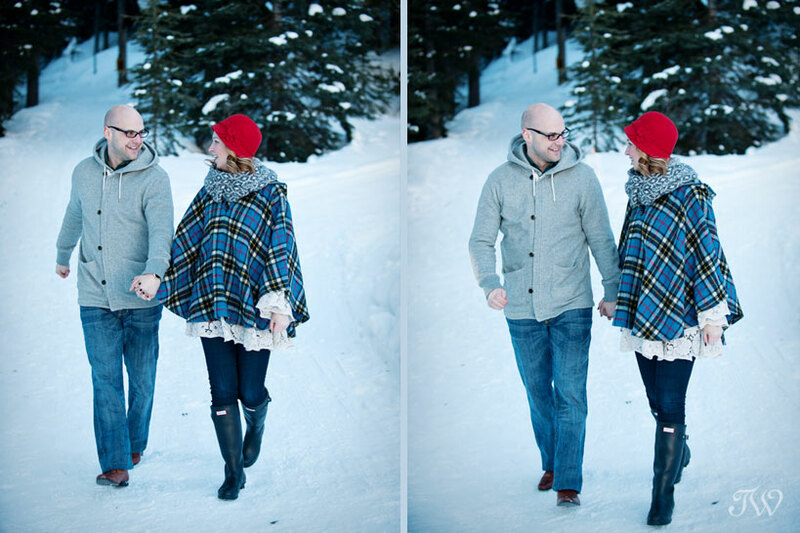 See a few fun outtakes from this engagement session. I was giving Pete and Samantha suggestions for a pose, which Pete interpreted as doubles bobsled. Sorry Pete, am I picking on you? Here he is keeping Samantha’s hat warm while she was having her picture taken. She was not amused. 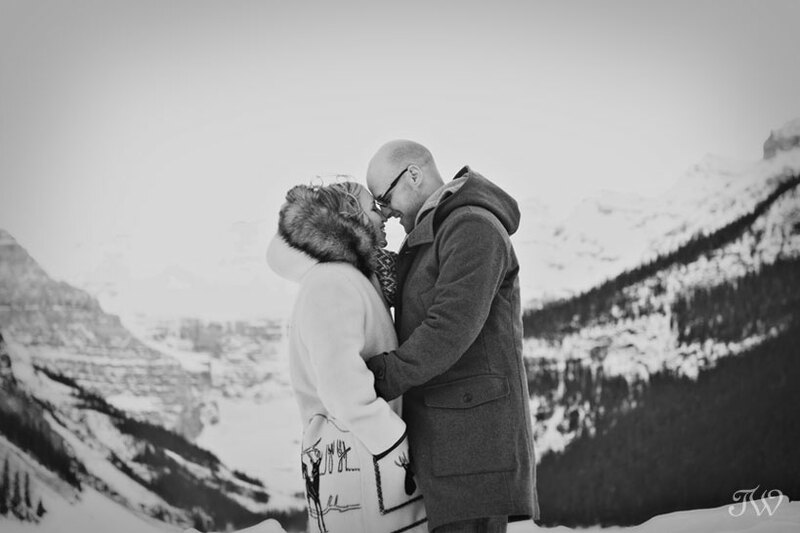 These were a few fun Lake Louise photos. 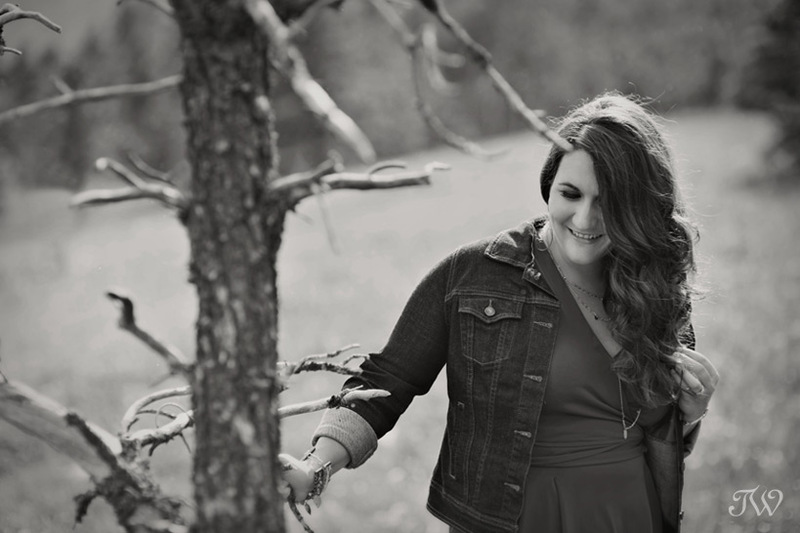 Be sure to pop back tomorrow when I’ll be posting this beautiful engagement session.